>For those of you who have humans to interact with at home instead of searching for it on Twitter, there is this little social media measurement called Klout. Yes, I’ spelled that correctly. The less of a life you have offline, the higher your Klout score. Of course, the magic number takes into account various wastes of time such as Facebook, Blogger and MySpace (kidding! ), but how it spits out a score is a complete mystery. As of Tuesday, my score was 59. 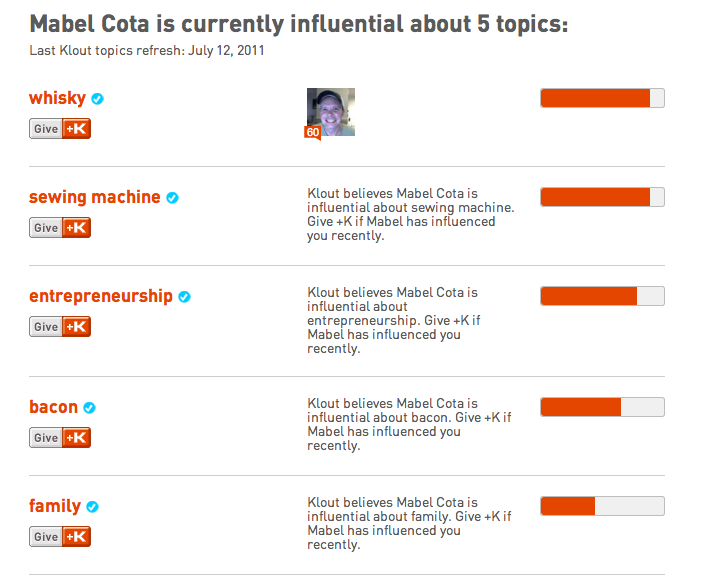 Somewhere I read the average Klout score is around 20. I’m not bragging. I would much rather chat with people over a glass of wine or a cup of coffee than over the Internet. But, for us lonely folks, there are perks. No seriously, they are called Perks. The more influential you are about certain topics, like Sacramento, coffee and sunglasses, the more free stuff you get. To date, I have gotten a year’s supply of deodorant…which was about 4 sticks. I have gotten a $10 gift card to Subway, a sample of Axe Hair Gel, and have recently qualified for a book about some role playing game. Also, mysterious? How the computer figures out the topics I’m influential about to other people without interaction in real life. 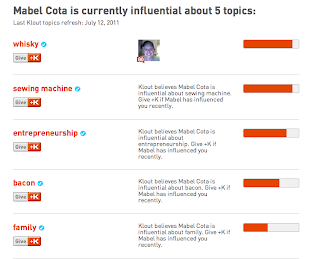 Regardless, the folks at Klout recently jimmy rigged their software to make it better. Which resulted in my score plummeting by 23 points. Like I said on Twitter, I’m still single, so who really cares?